BMW Cas programmer - Page 2 - BMW forum. Diagnostics, coding, programming, repair BMW vehicles. Can you recommend some good bmw cas programmer that can do odometer correction for BMW CAS4 (F01). As I see there is motorola HC908 microcontroller? after a few attempts I have 1 CAS2 and 2 Mercedes W220 EZS dead And it is not only me. The processors can still be read and write accurately,but the modules dont work correctly. R270,Directly read and write chip data quickly and safely, support for the new 2009 7 Series (F01/F02) CAS4 odometer and chips read and write data, safe and effective. CAS4 includes all the features of CAS3 programmer. 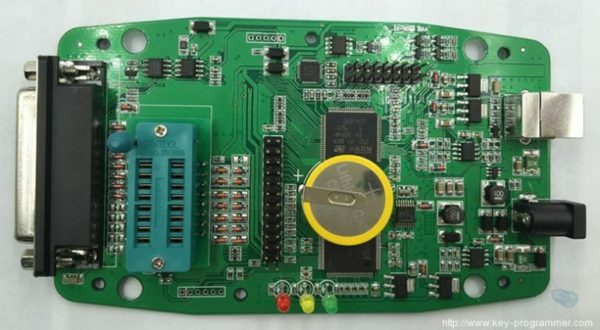 It has a powerful Motorola MCU programming function: removing-free programm Motorola MCU EEPROM (HC908) and FLASH (HC912, HC9S12, HC9S12X) series. You can try Tacho pro 2008, it can work on almost vehicles in the markets for digital speedometers worldwide. oooohhh~lucky,i was saw a post at here [Only for registered users... ] today. I'm often reading about Xprog, R260 and R270. Whats the deal about these tools? I tried so search and read about these tools but this confused me. Can someone explain me short and effective the difference and pros/cons about these tools? Maybe this could be a good sticky for new users. My goal: correct mileage in BMW from 2000 until at least 2010. Here is all i found in the CT community. Big thanks to all contributors!! I benefit a lot from this. both are very good programers and you need them both in this busines..
Also, most tools from china are clone while this VVDI Prog is made in the Xhorse company where produces vvdi tools. So, the quality definitely is no issues i think. See the PCB in mine.